I can still remember coming up with crazy short stories when I was 7 years old. I loved writing. I’ve always loved writing. And today, I have the ability to publish what I write, without middlemen. I’ve received quite a few emails about my Kindle experiment, so I thought I’d share a few of the lessons I’ve learned so far. 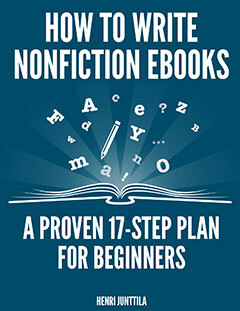 You don’t have to write a 1,000 page tome in order to publish on Kindle. You just need to solve a problem. When I wrote my first book, I wrote something simple. Not simple as in watered down, but simple as in focused, clear, and to the point. 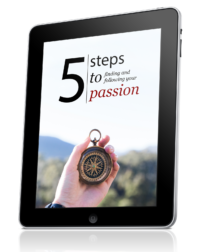 My first book was Find Your Passion: 25 Questions You Must Ask Yourself. Each chapter contains one question, which nudges you to look inside to find what you’re passionate and excited about right now. It won’t win any prizes, but it’s out there helping people. So if you’re held back by what you think your book should be, let it go, and start writing. Write because you love to write, and let the rest fall into place. Nonfiction books solve problems. I don’t write fiction, at least not yet, so my books focus on helping people move toward their goals. One of my books helps you write blog posts. Another one reveals how I made over $100,000 online doing what I love (no longer in print). Readers want to hear your story, and if you can solve problems by telling your story, even better. For example, if you know how to grow tomatoes, you can write a short book on the subject. If I were to start growing tomatoes, I wouldn’t want to wade through 500 pages. I would want as few pages as possible to help me grow juicy tomatoes. But what about originality? Aren’t you supposed to produce something mind-blowing? I don’t know. I write what I write. It’s mind-blowing for some, and not for others. Your writing is not for everyone. Remember that. Don’t wait for a groundbreaking idea. Start writing now, no matter how you feel. It will take time to get good, and to discover what you truly want to do. You have to be willing to wade through some … algae. We’re afraid of sharing our story, yet that is exactly what is required. Your story makes you unique. We’re all afraid of the same things. We all have the same desires. Your story allows the right people to connect with you, to relate to you. When I wrote, How I Made Over $100,000 Online Doing What I Love (no longer in print), I knew I would get criticized at some point, because books about money, and especially online business, so often do. I almost didn’t publish it. I had doubts. My story felt mundane. I couldn’t see who would want to read it. Luckily, I knew from experience that just because I thought my story was mundane, didn’t mean it was mundane. Don’t be afraid to share your story. You will have doubts. You will be afraid. That’s part of the adventure. It’s a part of life. Not everyone will like your story, or your books, but so what? Immerse yourself in the joy of writing. Let other people immerse themselves in whatever they choose. The more books I have out there, the more books I sell. If it sounds obvious, why do so many people give up when their first book isn’t a smashing success? When you launch a new book (if your books are relevant to each other), all of your books get a boost. That’s what happened when I launched my last book. So keep writing. This is about action, and learning what works. Stop trying to figure out the perfect plan, and start writing. You have to write in order to improve. You don’t get better through excessive thinking and planning. Let it be a chaotic mess if it has to be. As writers, we’re constantly doubting ourselves and fearing the worst. It’s not something to be gotten rid of, but something to embrace. Use your fear to fuel your writing. When fear paralyzes me, I know that I’m not alone. We all feel the same feelings. Deep down, you’re afraid of the same things I am. I don’t try to hide it, because hiding my fears and doubts would mean hiding a part of myself. I don’t give fear power, but I also don’t push it away. If that doesn’t make sense, don’t worry, you’ll find your own path. Your body may shake with doubt as you write your book(s), but you just keep writing. What are you truly afraid of? Someone saying something bad? Are you going to let that keep you from doing what you love? You don’t know if what you fear is even bad. You just think it will be. Before writing my first book, I was afraid of negative reviews. After publishing several books, I’ve noticed that about 10-15% of reviews will be negative, or at least not positive. That’s just how things are. Not everyone will like my books, and I accept that. My books aren’t for everyone. I’ve also noticed that most 1-star reviews have nothing to do with the book, and everything to do with the person leaving the review. You see, we express what we feel. My book may be amazing, but if something I write triggers fear in someone, they may leave an angry review. Readers don’t really review books, they review how the books make them feel. If someone isn’t ready to follow their passion, they may hate my books for reminding them of the fact that it is possible. Forget about the reviews, and write from your heart. That’s what I do. I write the books I feel inspired to write. Whether or not people like them is not up to me. I can only do my best, and the rest is out of my hands. Isn’t it time to start writing? Having a writing process helps me write high-quality books, fast. A writing process means that I have a checklist of sorts that helps me get through my books. It allows me to focus on writing, instead of coming up with the fundamentals of my books every single time. You discover your way of writing by writing. But if you want to discover what my writing process looks like from beginning to end, check out my book. Obviously there are many things I haven’t included in this post, but worry not. There’s more coming very soon. If I had the money; I would buy every book you published without thinking. Everything you say and do is an inspiration and I hope that your success grows even more! I just finished your $100K book…and came on here because I really valued what you wrote. And I have been holding on to a few already books because I am afraid, but you’re so right! I just need to put it out there and let it go. I’m not a horrible writer, so I feel okay about that and I don’t need to get EVERY person to give me 5 stars…if I make a difference to one person and their life changes, I consider that good enough…Thanks for being you and sharing yourself with us! Thanks Becca! Put it out there, and deal with whatever comes. That’s the only way. It may sting if people don’t like it, but you’ll live, and you’ll keep on moving forward. One step at a time is enough. Looking forward for the launch of your next Kindle book. Thank you for sharing yourself over the past year. Your daily emails are the spark of light that gives me hope to change and improve. I have been happily retired for 10 years and have achieved two things; President of the DO NOTHING Club and President of the PROCRASTINATORS Club. Life has been easy and great although on a strict budget. However, I am now restless to do more, to live more, to travel more. The dread of going back to the “hell that is known as work” has been the only thing that has kept me from taking action. Your new book gives me a glimmer of possibility to change and grow and live again. I am curious about your sentence “Let it be a chaotic mess if it has to be.” That strikes a chord…Could you elaborate further on this please? Thanks Pooja. It’s actually my 5th book (I sneakily included it since I’ve already written it but haven’t published at the time of writing this post). As for the sentence, the way I look at it is that writing a book comes down to determination and prioritization. If I make my number one priority to write my book and to follow my heart, everything else becomes secondary. There may be doubts. There may be chaos. 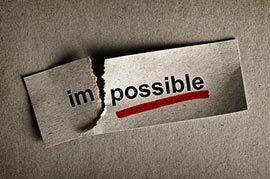 My whole world may come crashing down, but I will keep writing no matter what, because that’s what I want to do. I’m looking forward to reading the new book! Your How to Write Blog Posts book/process really changed the way I write, and I’ve been trying to stick to the process. I’m still struggling with headlines but I practice all the time. Thanks Gina. Glad you liked the Blog Posts book! Hey, as always, I’m looking forward to the book coming out but this time for two reasons. 1. It’s coming out on my birthday so your inspiring words will be a birthday gift to myself. 2. I always can’t wait to dive into whatever you release because it’s always awesome. Keep rocking the cloud, dude! And happy birthday in advance. Hope you have a great one. Great post, Henri… Te últ. Helpful for those of us that want to start a a journey of writing. In my own experience, I’ve found that it can be really overwhelming, si it takes a LOT of discipline! Anyway, thank you for all your work, and I’ll wait for your new book to get released! Thanks Alvaro. It can be overwhelming, which is why it’s important to remember that we can only take the next step. We can’t figure out the whole journey, because that would take the spice/tension/zing out of life. Excellent advice Henri- thanks! I love your take on negative reviews. My fears of rejection and it not being interesting or good really hold me back. I like how you explained that negative reviews are about that person, not you and that you just need to keep writing- to enjoy the experience and take the next small step. You are great! Thanks Roo! We’re all afraid of rejection. The trick is to take small steps and challenge your assumptions. Nice post Henri !! Like many other people I am also in queue to read your book which is launching on Monday. Glad to hear that, Mike. Hope you like it! Great advice. My first book now on kindle contains lots of colour images as it is a how to paint book (introduction to loose watercolor) It is doing OK (8-10 a day) and I am planning more. Wondered if you have looked into this new development, ie:now many kindle reading is on color devices a whole huge genre becomes possible. Craft books that need images, art teaching, etc. It’s not something I have personal experience with, Roy, but it sounds like there’s plenty of potential for creative types.